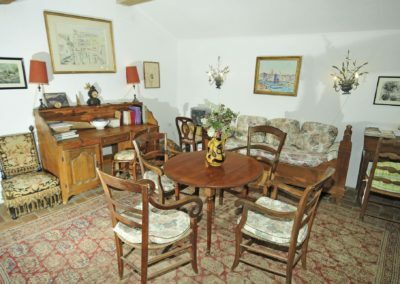 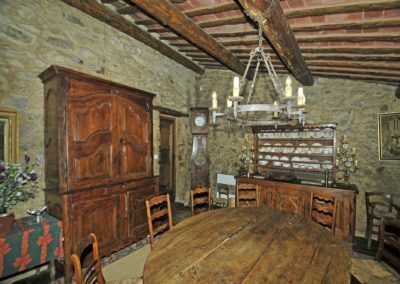 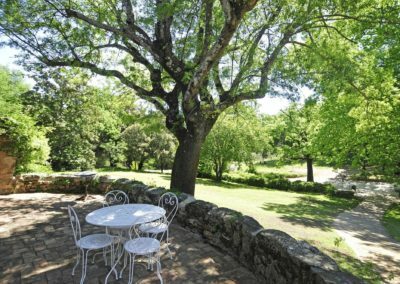 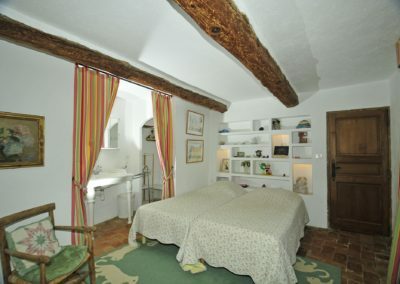 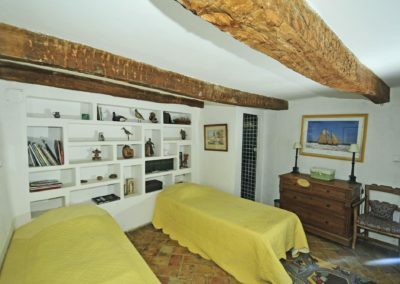 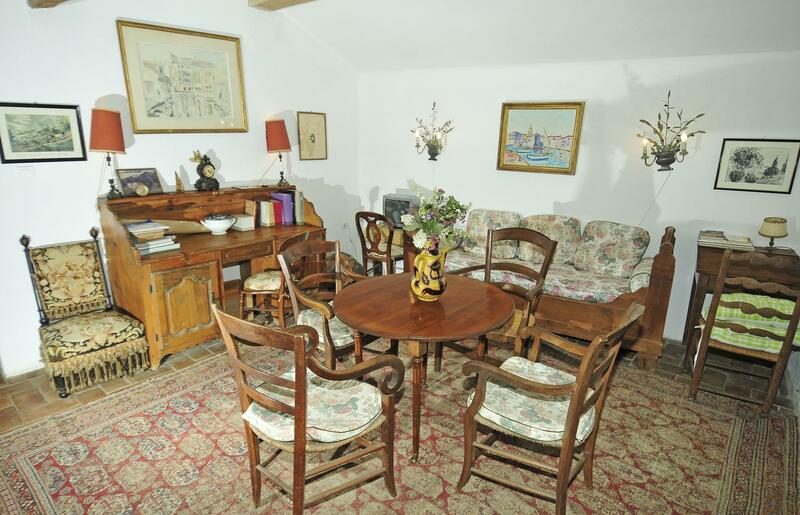 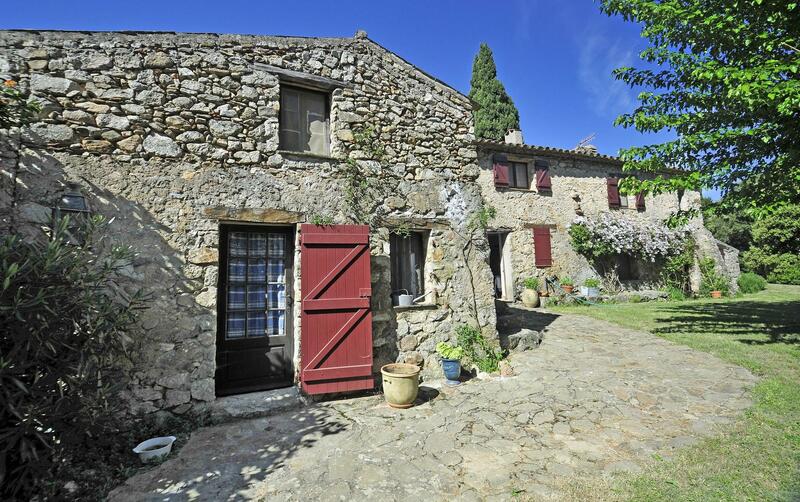 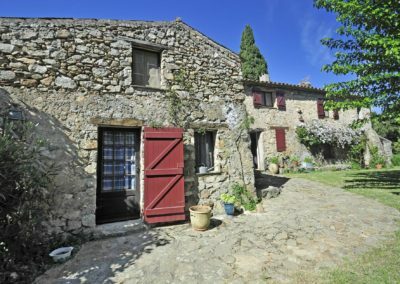 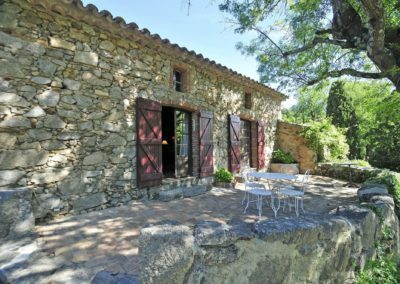 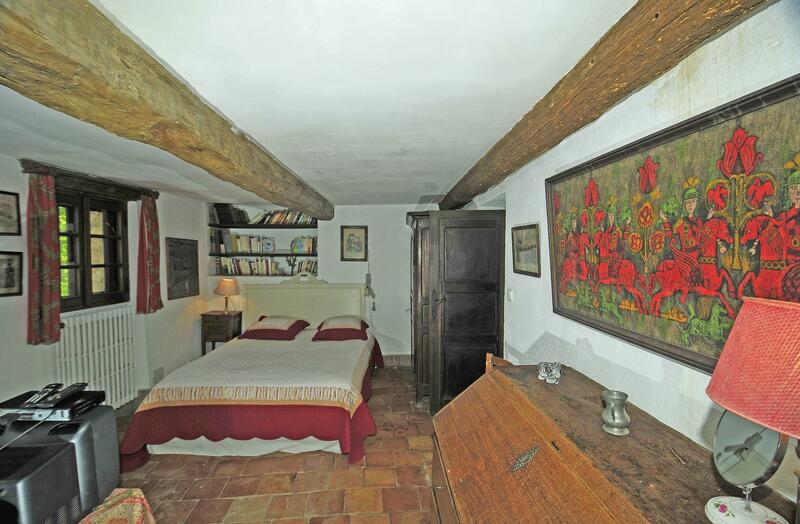 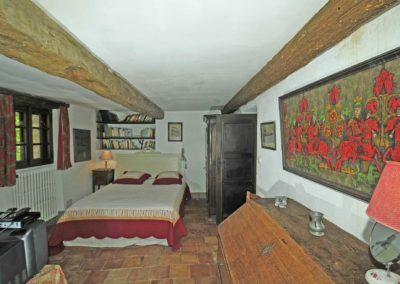 Bastide de la Poesie is a sympathetically renovated 16th century Plan de la Tour Farmhouse rental on the outskirts of the village. 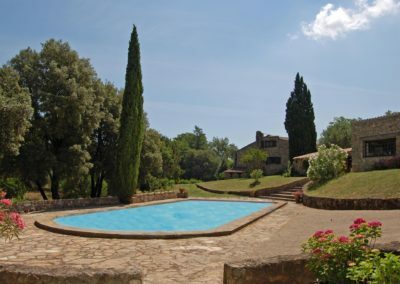 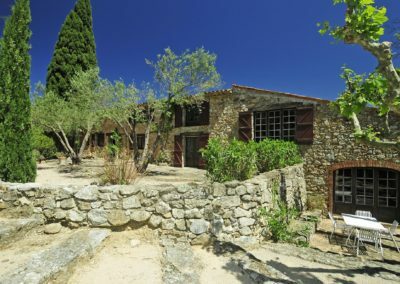 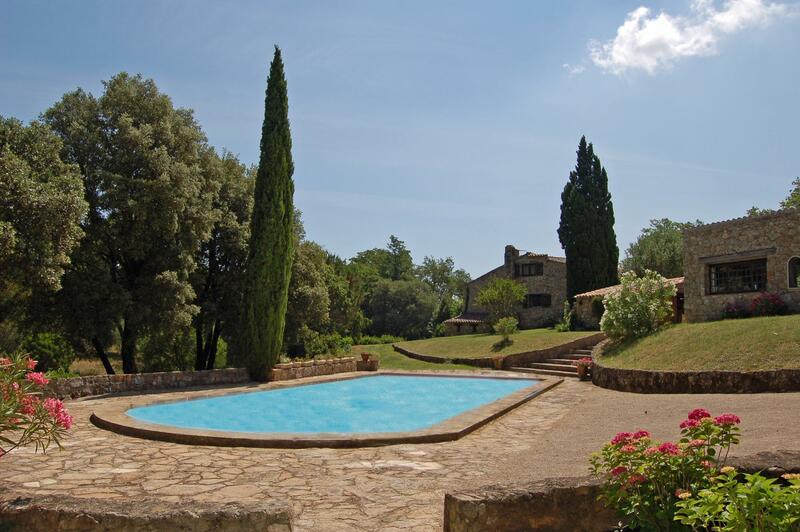 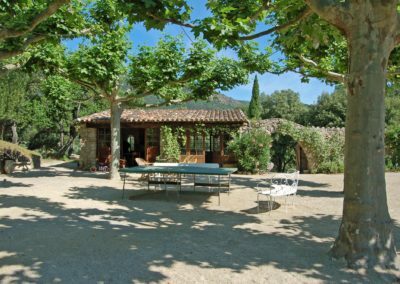 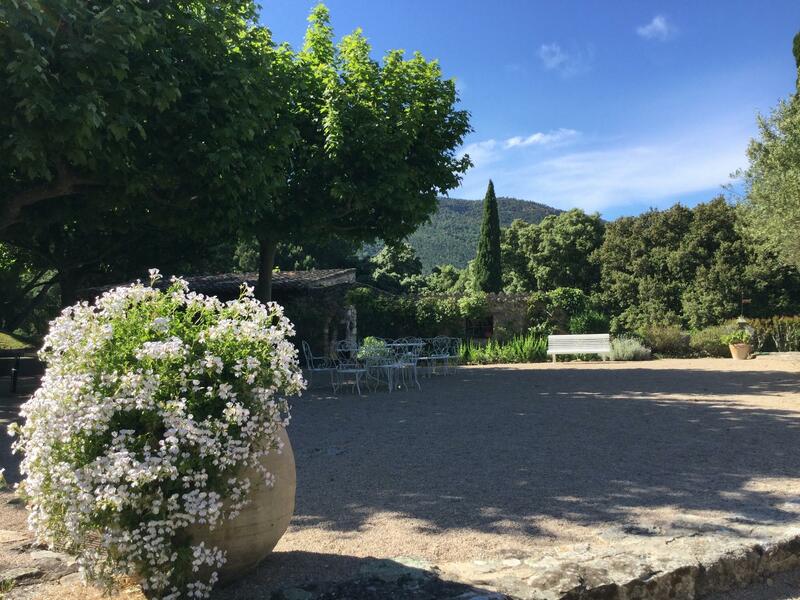 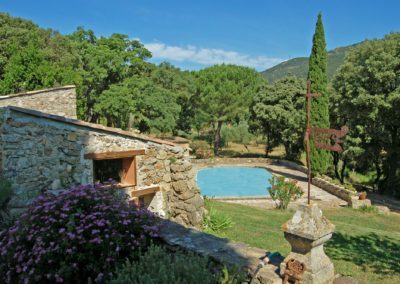 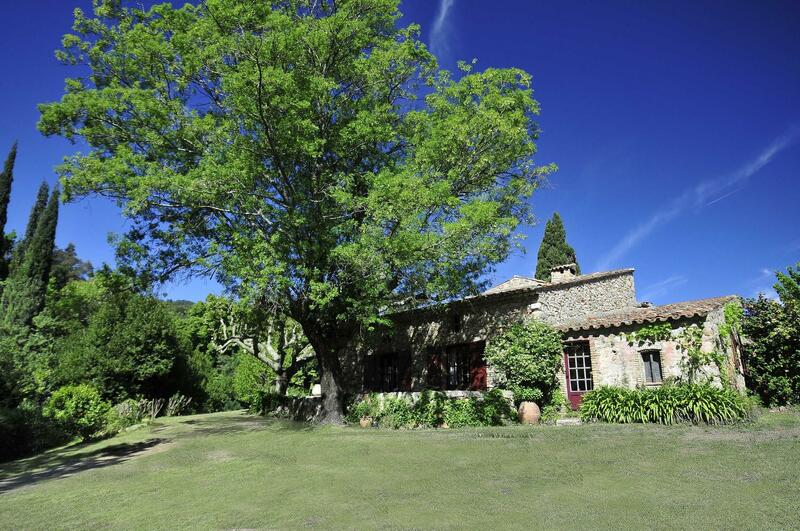 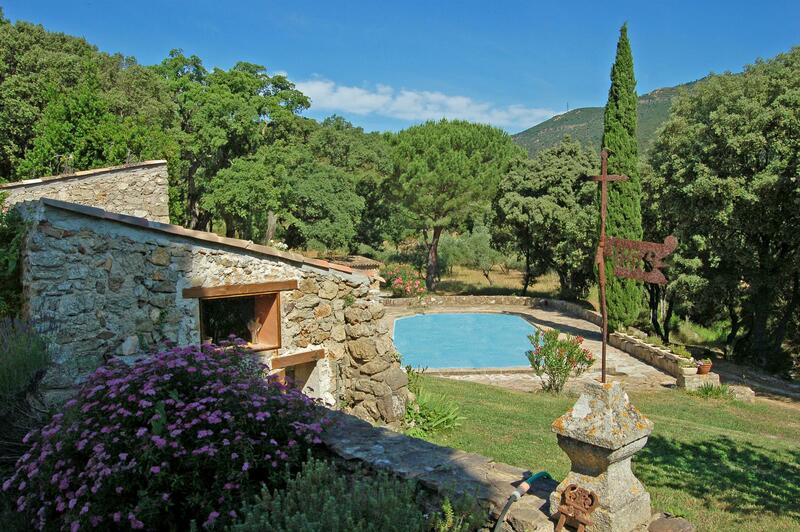 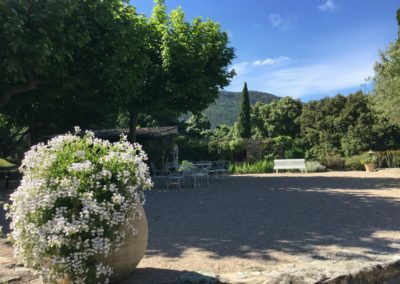 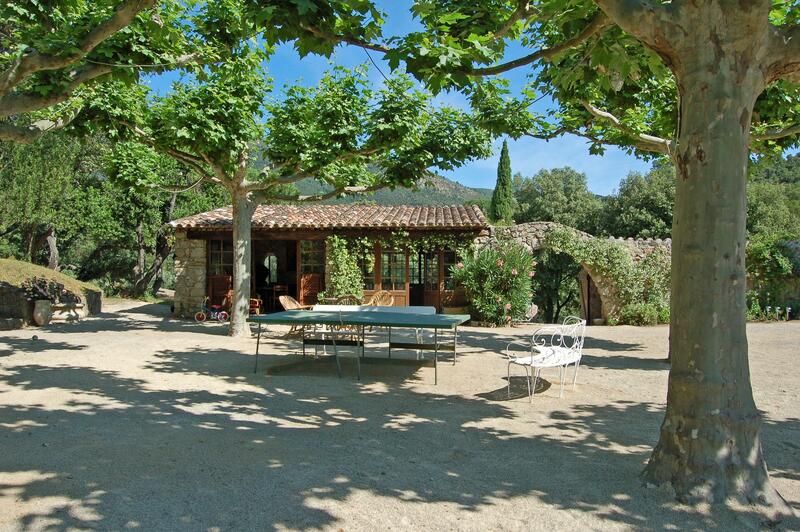 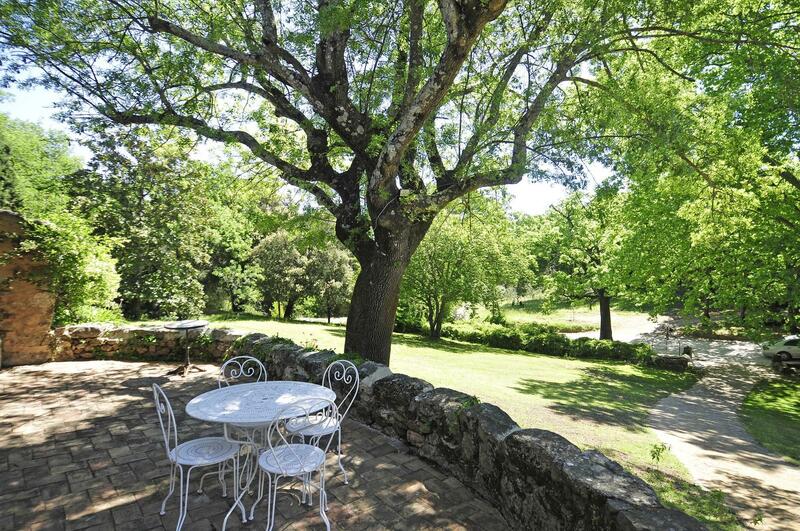 Set in 95 acres of beautiful countryside with forest, vines, olive groves and a stream, the country surrounds make it hard to believe you are just 25 minutes from the hustle and bustle of St Tropez. 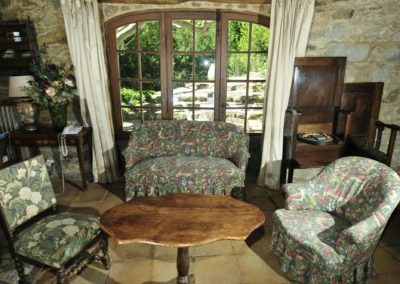 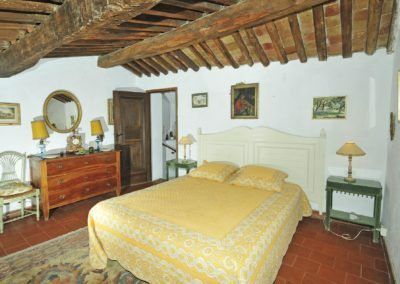 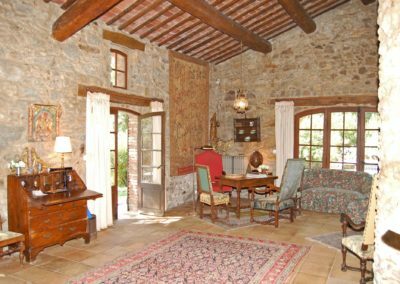 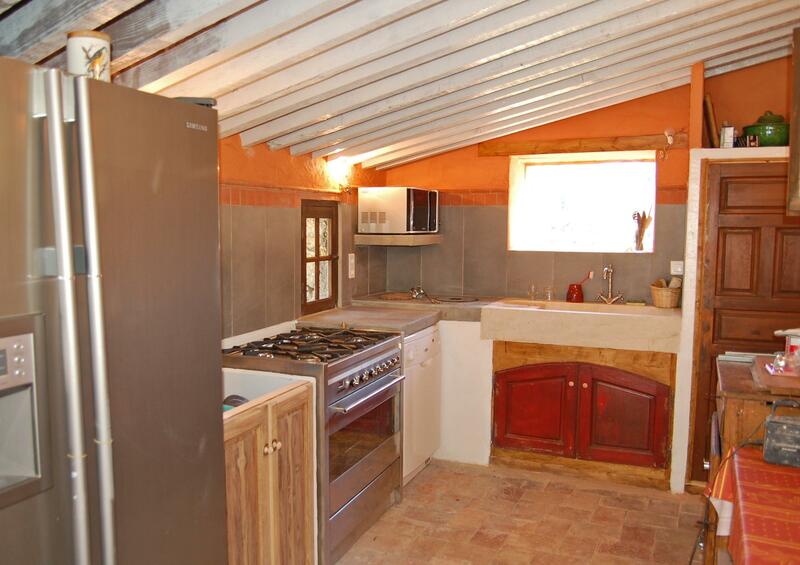 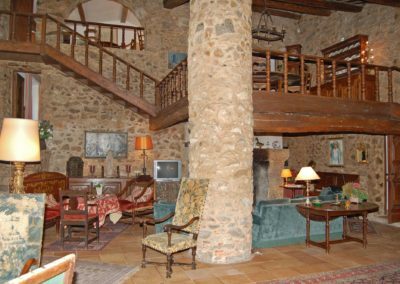 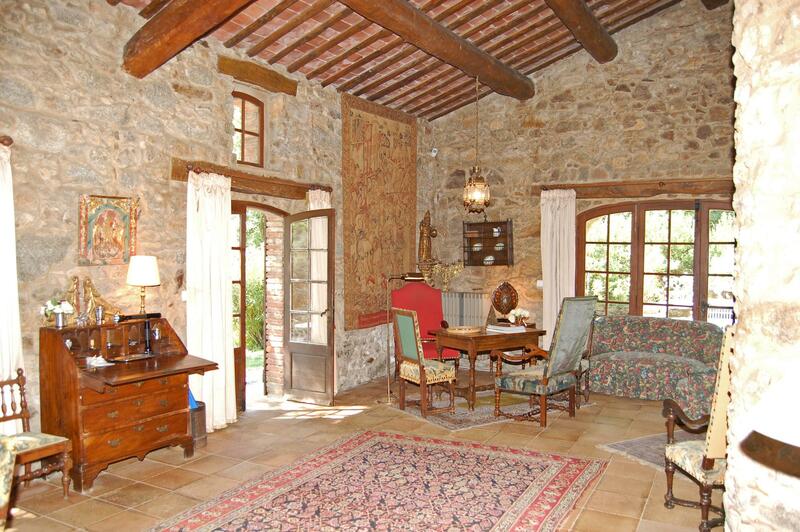 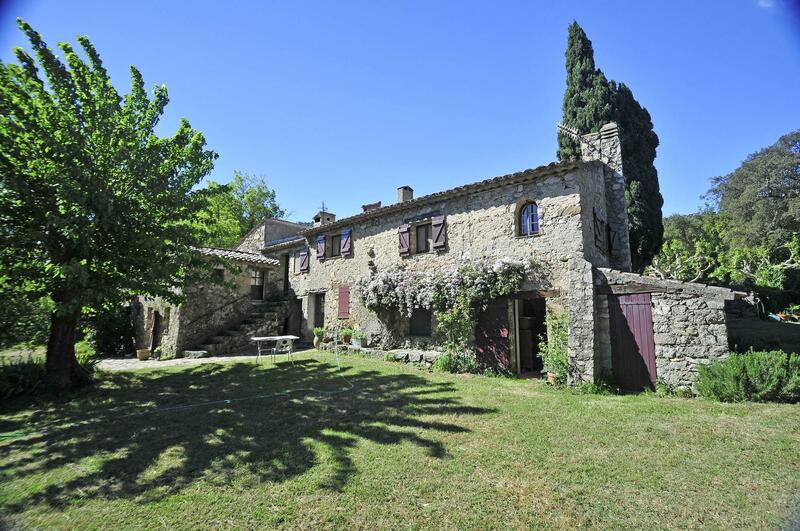 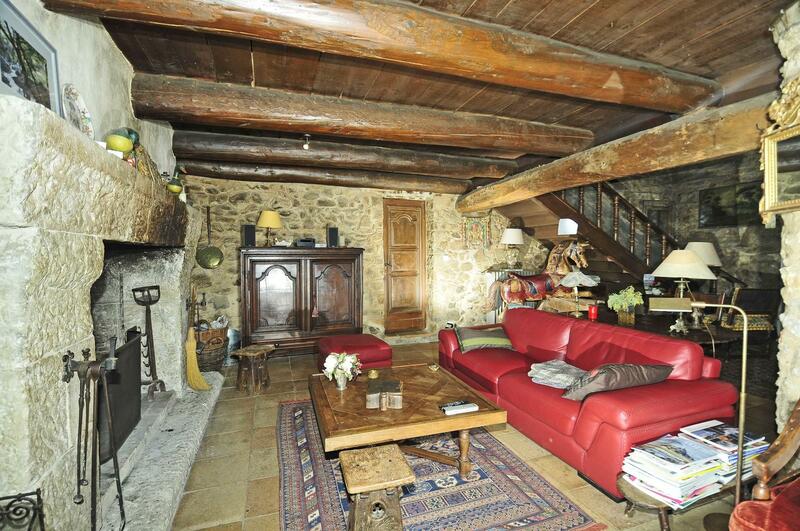 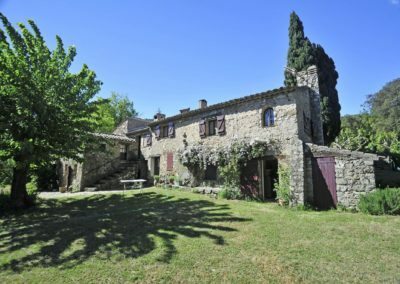 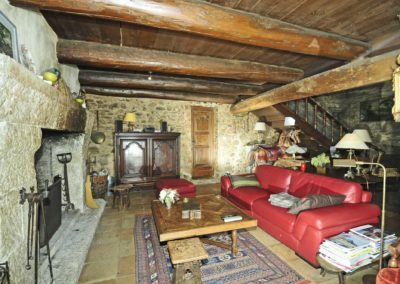 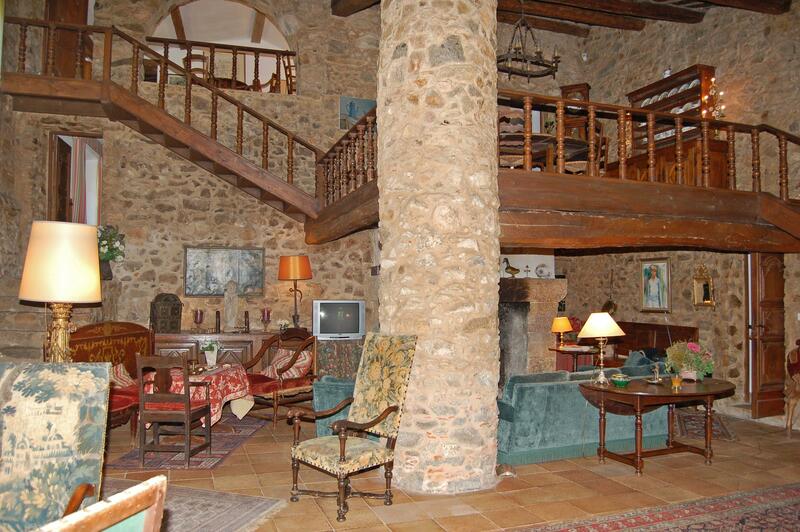 This is a rustic French farmhouse with pool, furnished in a traditional style and the impressive double height living room with a huge stone pillar, open fireplace and wooden mezzanine adds real character. 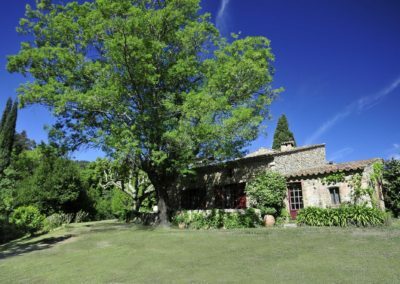 Plan de la Tour has many shops, cafes, restaurants and a colourful weekly market. 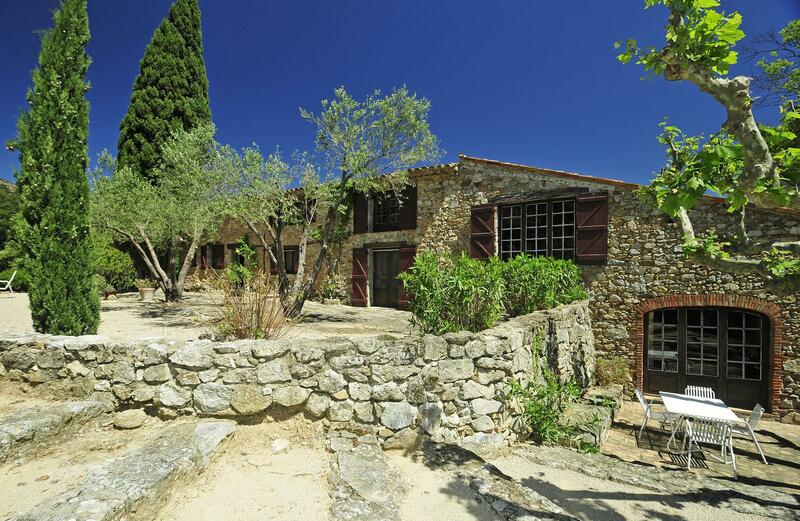 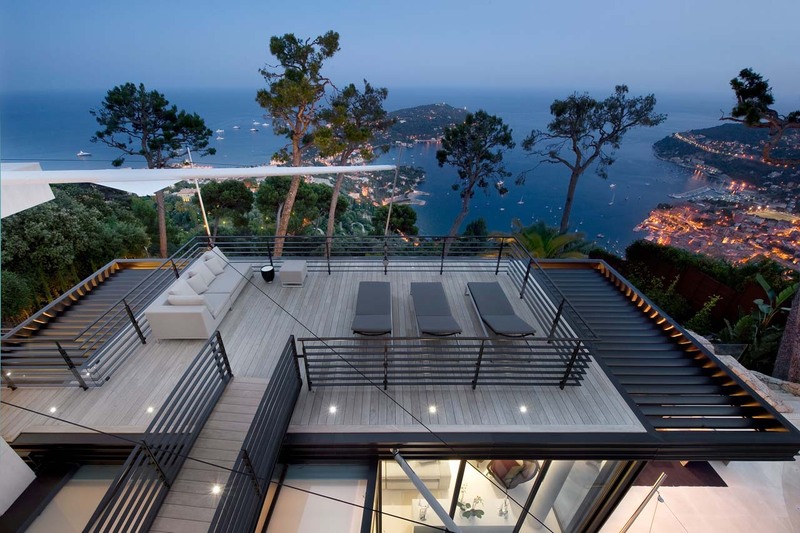 St Tropez is just 25 minutes away with its choice of sophisticated cafes and restaurants. 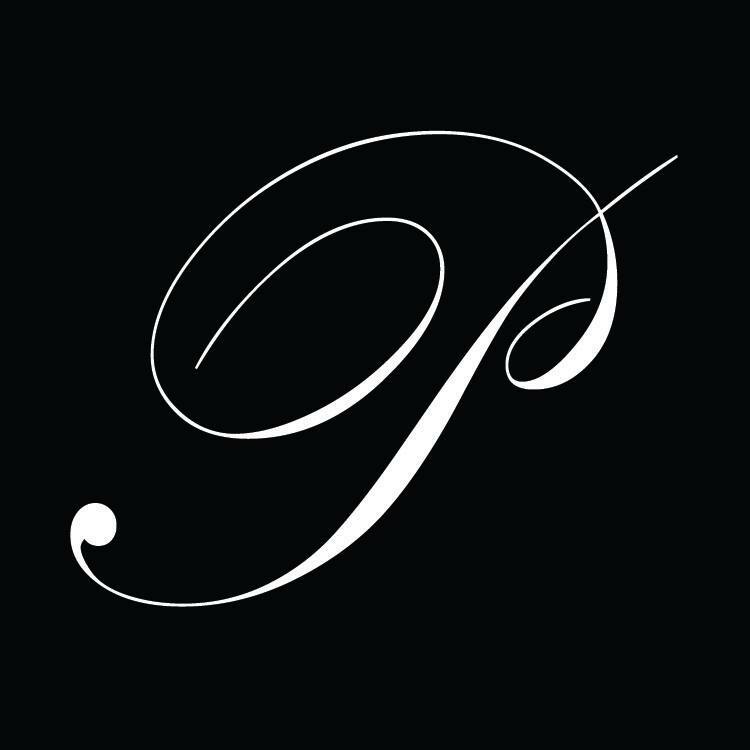 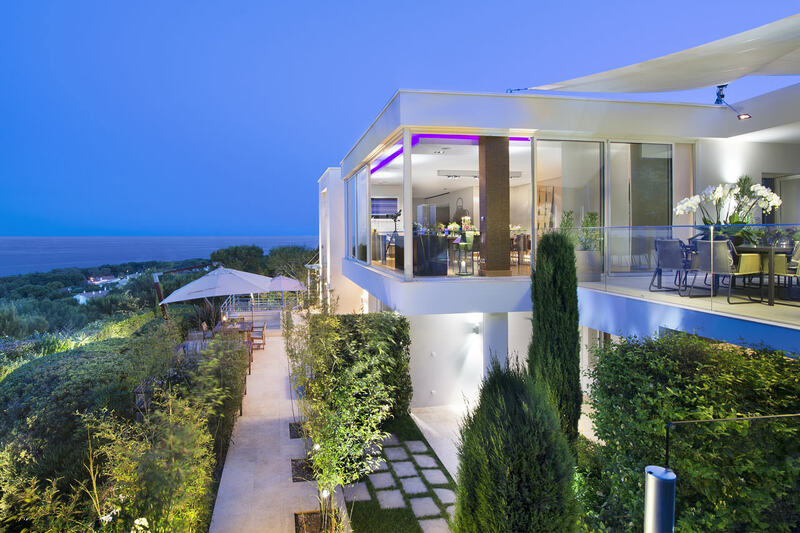 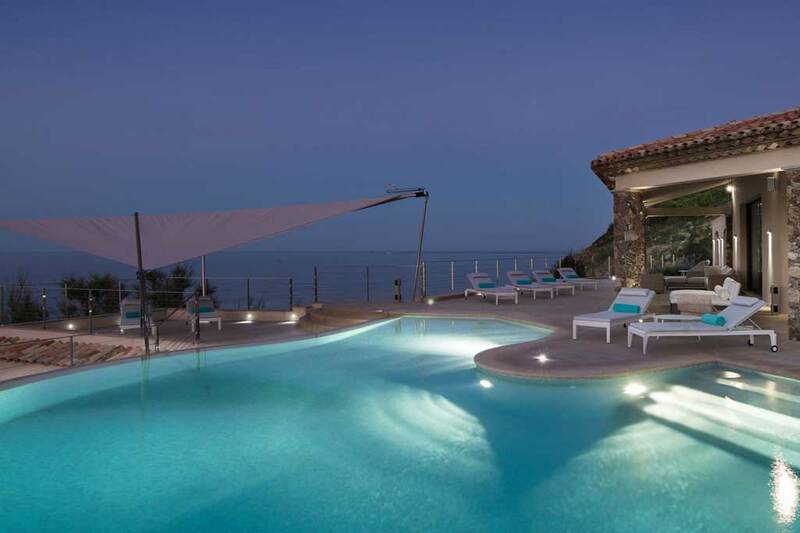 The chic Club 55 on Pampelonne beach, a 4 km stretch of golden sand, is only 16 miles from the Bastide. 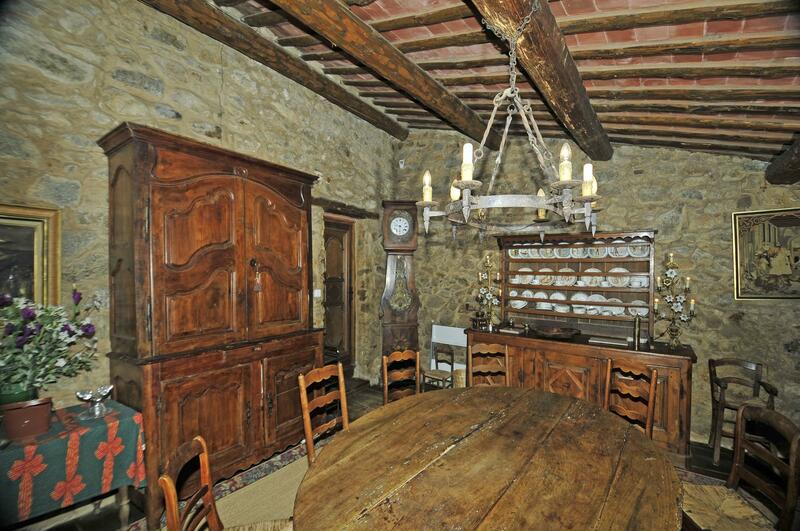 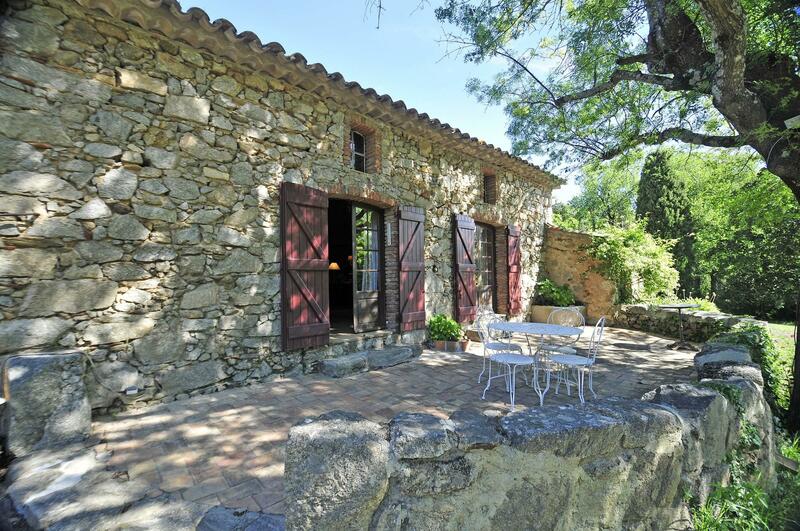 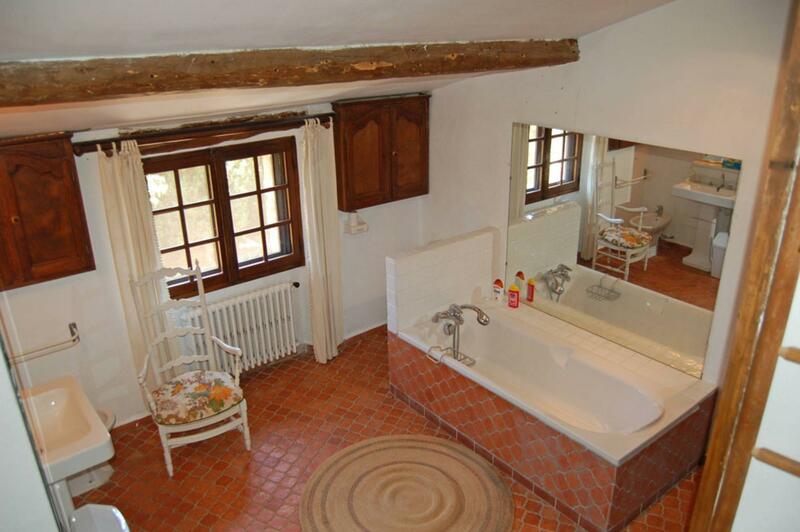 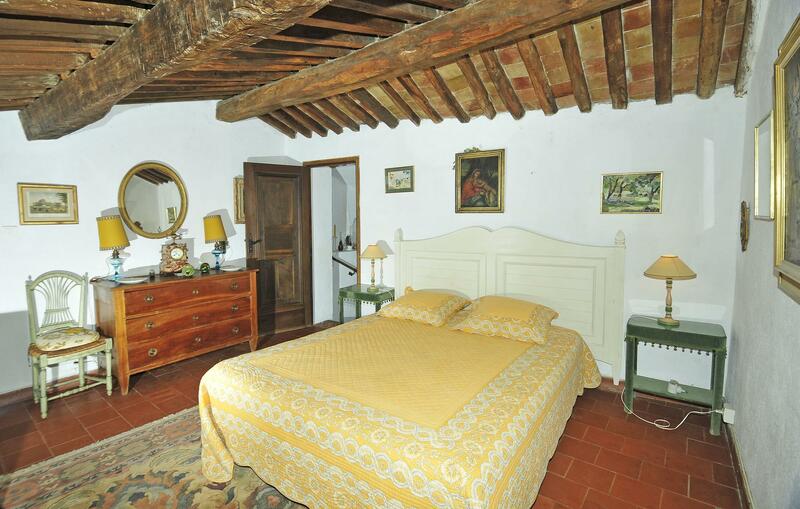 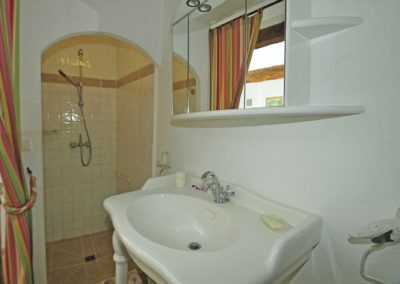 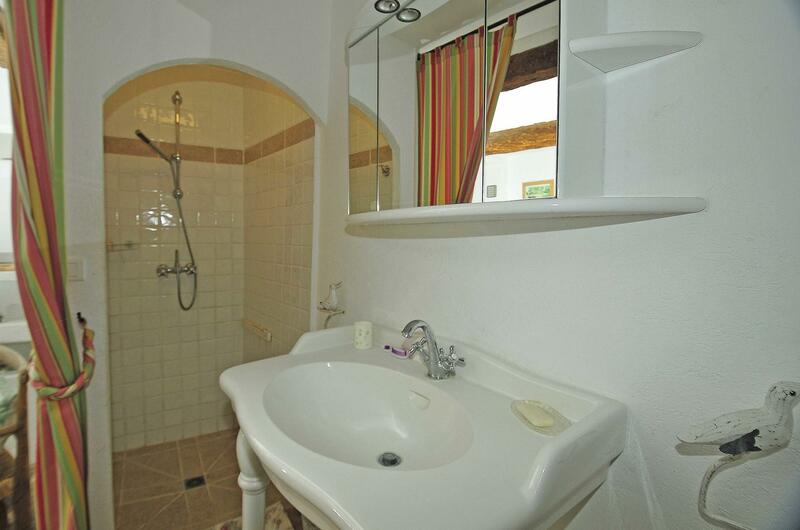 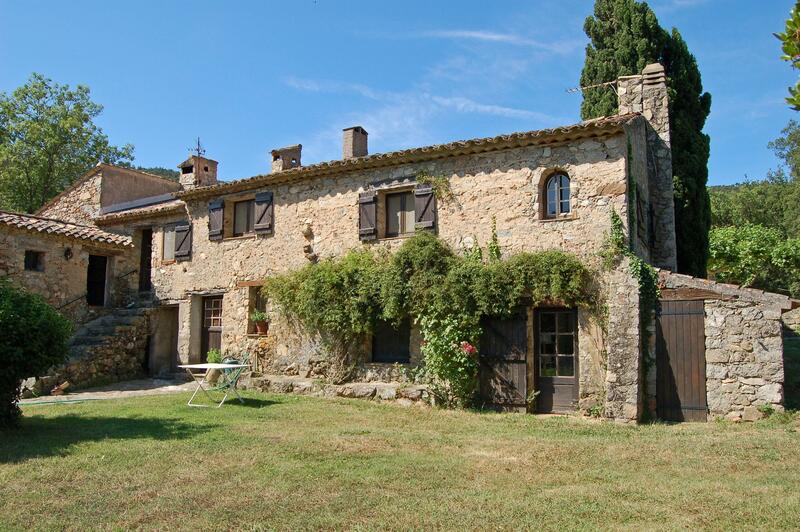 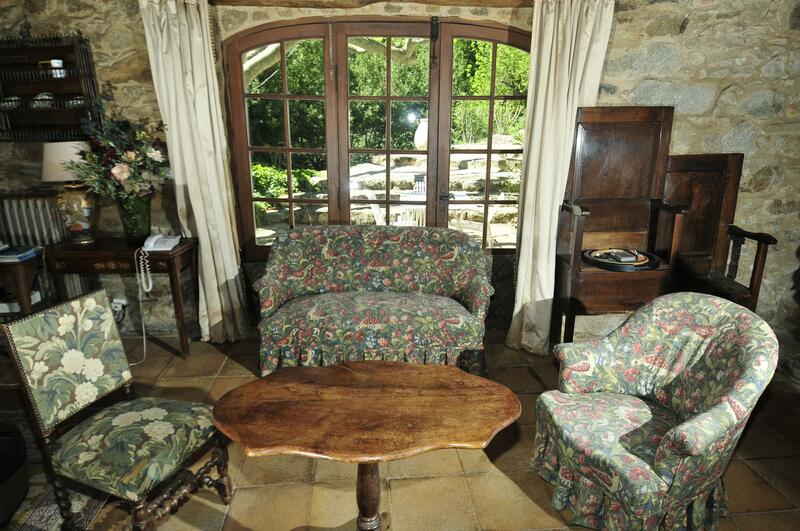 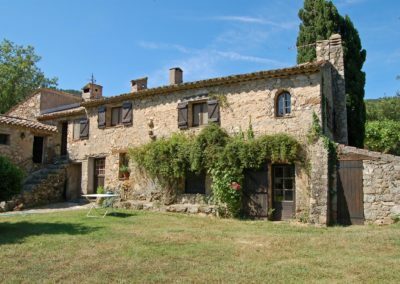 There are many delightful medieval villages waiting to be explored inland from this French farmhouse with pool.